In a surprising move last month, the Texas Supreme Court overturned 25 years of legal precedent when it ruled that Texas does not recognize a common-law cause of action for minority shareholder oppression, leaving the appointment of a rehabilitative receiver as the only remedy for oppressive actions by corporate management. In Ritchie v. Rupe, Rupe, a minority shareholder in a closely held corporation alleged that the corporation’s other shareholders, who were also on the board of directors, engaged in “oppressive” actions and breached fiduciary duties by, among other things, refusing to buy her shares for fair value or meet with prospective outside buyers. The directors essentially admitted to this conduct but insisted that they were simply doing what was best for the corporation. For the most part, the jury sided with the minority shareholder, and the trial court ordered the corporation to buy out her shares for $7.3 million. The Dallas Court of Appeals agreed that the directors’ refusal to meet with prospective purchasers was “oppressive” and upheld the buy-out order. The Supreme Court reversed and held that the directors’ conduct was not “oppressive” under the Texas Business Organizations Code §11.404, but even if it was, the statute did not authorize courts to order a corporation to buy out a minority shareholder’s interest. Moreover, the Court “decline[d] to recognize or create a Texas common-law cause of action for ‘minority shareholder oppression. '” Whereas before Ritchie, a minority shareholder could use a threat of a court-ordered buyout to force the majority to buy him or her out a certain price, now the minority shareholders’ only relief for “oppressive” conduct by the company is to seek an appointment of a rehabilitative receiver under Section 11.404. In addition to abrogating the common law claims for minority shareholder oppression, the Supreme Court also narrowed the definition of “oppressive” conduct, which is not defined in the statute, to include only those instances where the majority “abuse[s] their authority with intent to harm the interests of one or more shareholders in a manner that does not comport with the honest exercise of their business judgment.” Thus, to obtain an appointment of a receiver under Section 11.404, a minority shareholder must show that the majority intended to harm him or her through their actions, and courts must apply the “business judgment” rule instead of the “fair dealing” and “reasonable expectations” tests to determine whether any oppression occurred. Furthermore, because the appointment of a receiver is a “harsh” remedy and is meant to be used only in “exigent circumstances,” a minority shareholder seeking such appointment must show that all other lesser available remedies based on other claims or other provisions of the statute are not adequate. In reviewing the various forms of conduct that minority shareholders have often alleged as giving rise to a common-law oppression claims, including the denial of access to books and records, the withholding of dividends, termination of employment, misapplication of funds, diversion of corporate opportunities, and manipulation of stock price, the Supreme Court concluded that other available causes of actions adequately addressed such wrongdoing and, therefore, a common law oppression cause of action was not necessary. A minority shareholder, for example, can bring derivative lawsuits on behalf of the corporation, and claims for accounting, breach of fiduciary duty, breach of contract, fraud, constructive fraud, conversion, fraudulent transfer, conspiracy, unjust enrichment, and quantum meruit. Justices Guzman, Willett and Brown dissented from the majority opinion. 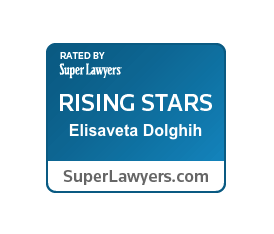 For more information regarding business litigation in Texas, contact Leiza Dolghih. Previous postDefending Non-Compete Agreements in Court – What Evidence Does an Employer Need? Next postWhen Can a Franchisor Be Liable for Overtime and Minimum Wage Violations at a Franchisee’s Business?